Our bride & groom’s Wedding Invitation Suite from Crane & CO. just arrived. They picked Crane’s Royalty Silver Beveled Suite. 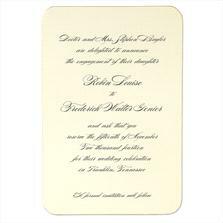 This is a stunning classic crane stock stationery with very elegant script. We personalized the above invitation for our couple and it came out stunning! This invitation is Metallic Silver with Hand Gilded Edges and comes with Pearl White Royalty Inside and Outside Envelopes. 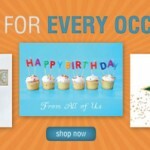 This invitation suite includes response card, thank yous, place cards and menus. If you’d like to see this elegant crane stationery please come in to our Embarcadero location in San Francisco, or you can view and order online on our Shop Online Site. 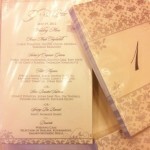 For more designs and information about our stationery products and calligraphy services please go to our website at www.hyegraph.com.